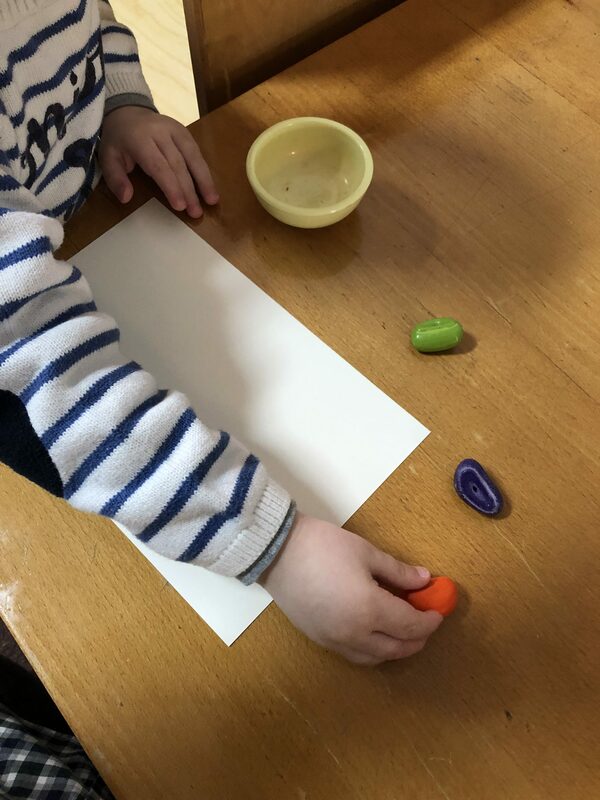 The crayons in my son’s toddler classroom are shaped like large pebbles. This form serves the crayon’s function: to teach him to productively hold a pencil. It is our sincere hope that Audacious Ignatius has a similarly productive form. We hope that its beauty and joy offers a simple reminder to productively hold the stuff of one’s life as Ignatius did, enabling attentiveness to the Spirit and freedom to participate in the work of God in the world. This past weekend, Fr. Jim Martin, SJ gave Audacious Ignatius a shout out on Facebook. Check it out! Both Katie and I are grateful to be able to able to work from home on projects like Audacious Ignatius, though the workplace is not always the most efficient. I found this text conversation from the morning of a big deadline day. Andrew ended up voting for the “On the Way” in the end.